– A highly voted ticket from Spotify Community. As an answer to the above questions and questions alike, Spotify confirmed its customers that it is still “Not Right Now”. That means currently there is no Spotify app for Apple TV. Then, how to get Spotify on Apple TV? Can we play Spotify on Apple TV from Mac or PC? If yes, then how to stream Spotify to Apple TV? Well, in this guide, we would like to introduce you 2 different Spotify song downloader tools to help you get Spotify on Apple TV from Mac. Just check the content below and turn to the method that meets you more. 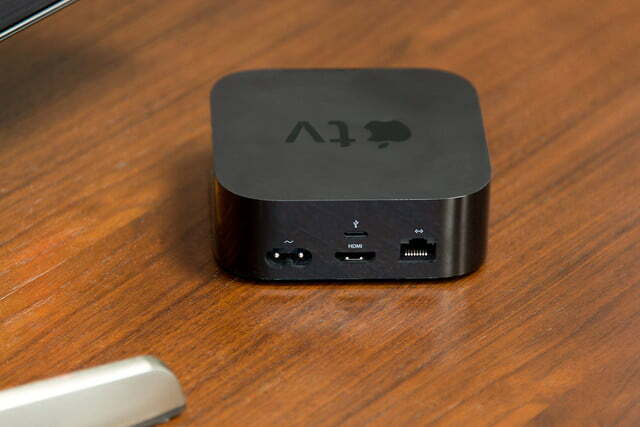 Comparatively less popular when compared to Apple iOS devices like iPhone, iPad and iPod, Apple TV is a palm-sized black plastic box that connects to your television set via an HDMI cable. Then it connects to your home wireless network and brings the magic of Internet video to your TV. It comes with a simple three-button remote. As a digital media player and microconsole, Apple TV is a small network appliance and entertainment device that can receive digital data such as music or video from specific sources and stream it to a television that has HDMI input. Watch streaming videos from Apple’s own digital video options and other top entertainment providers: Netflix, Amazon Video, Hulu, HBO GO/HBO NOW, WatchESPN, PBS, YouTube, etc. Listen to music from Apple Music and its built-in Pandora app directly, and other music streaming services like Spotify and Sirius XM via AirPlay feature. Play games after you have downloaded to it. Get a bundle of apps from its App Store like social medias, photo sharing, media sever, etc. Send your video and audio files from Mac and iOS devices through Apple TV for enjoying. Mirror your iOS device’s screen via the AirPlay feature onto your TV. Currently, Apple has released 5 generations of Apple TV, none of which supports direct Spotify music playback. 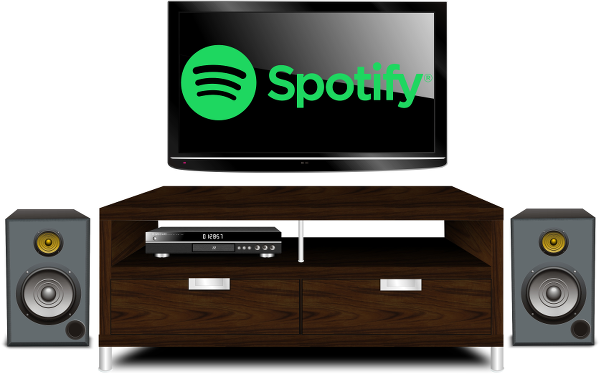 Then, follow the below content to know how to get Spotify on Apple TV for enjoying Spotify music on TV through Apple TV. As mentioned above, to play Spotify on Apple TV from Mac, you need to firstly download Spotify songs onto Mac computer. 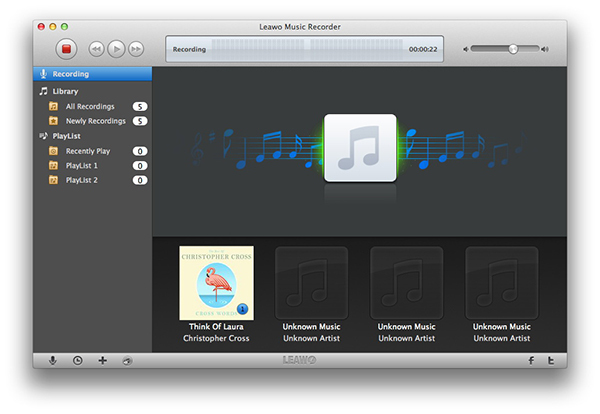 Leawo Prof. DRM, a professional Mac Spotify song downloader included, is the best Spotify song downloader for Mac users. 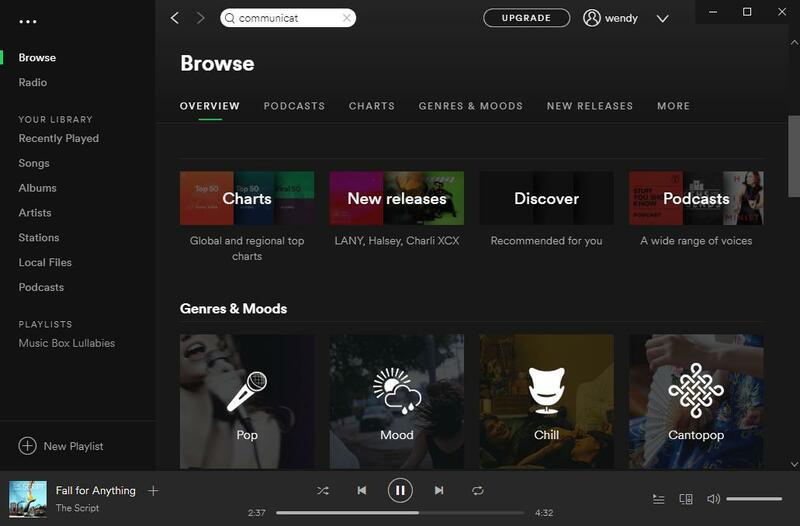 It has both Windows and Mac versions to help you download Spotify songs onto computer. Leawo Prof. DRM could help you download and convert Spotify music to MP3, M4B, M4A, AAC, WAV, FLAC audio files with high quality, and it even enables you to set the output audio sample, channel and bit rate to maintain the audio quality. Download and install Leawo Prof. DRM for Mac on your computer first. If you are using a Windows computer, just download the Leawo Prof. DRM. Then follow the below steps to learn how to download and convert Spotify songs, albums and even playlist to local drive. Note: Before you launch Prof. DRM, make sure that you have downloaded and installed Spotify on your computer and can play songs smoothly since Leawo Prof. DRM would read your Spotify data. Launch Leawo Prof. DRM. The program would ask you to launch Spotify. After launching it, you can directly drag and drop your favorite songs from Spotify desktop software to this Spotify music downloader. Or, if you want to download a Spotify playlist, copy the URL of the Spotify playlist. Then open the “Converted” tab to click the Spotify icon and then paste the URL into the browser bar before you click “OK” button. Click the pencil icon on each loaded Spotify song title to set output format and sample rate, bit rate, audio channel. Choose MP3 or other audio formats Apple TV accepts as mentioned above as output format in the “Format” box. Then choose either “Apply to All” or “Apply to current” after setting. At the bottom of Leawo Prof. DRM, set an output directory in the “Output” box. At the bottom right corner, press the blue “Convert” button. 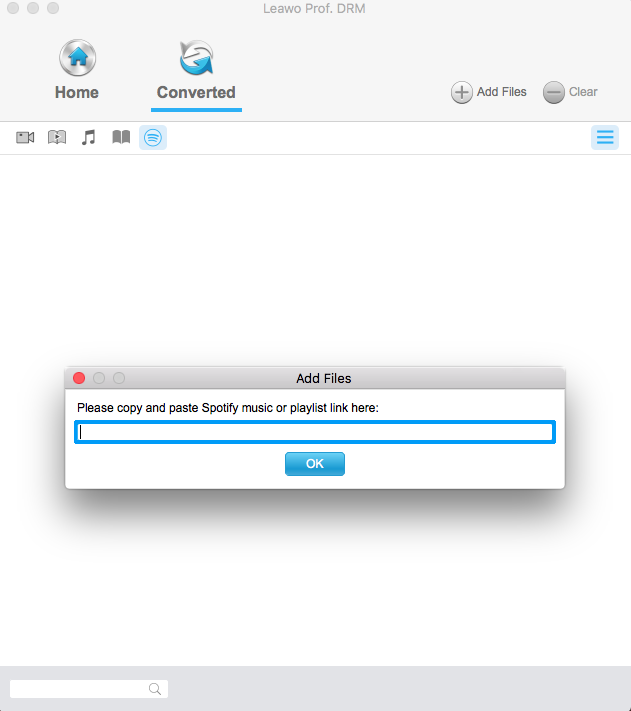 This Mac Spotify song downloader would start to download Spotify songs and convert Spotify songs to the selected audio format. You could view the whole downloading and converting process on the converting panel. After converting, you could then transfer the downloaded Spotify songs to Apple TV so as to play Spotify songs through Apple TV on your TV. Besides Leawo Prof. DRM performing as Mac Spotify song downloader to help you download Spotify songs on Mac, Leawo also provides another Spotify music recorder for Mac users to record and download Spotify songs on Mac. 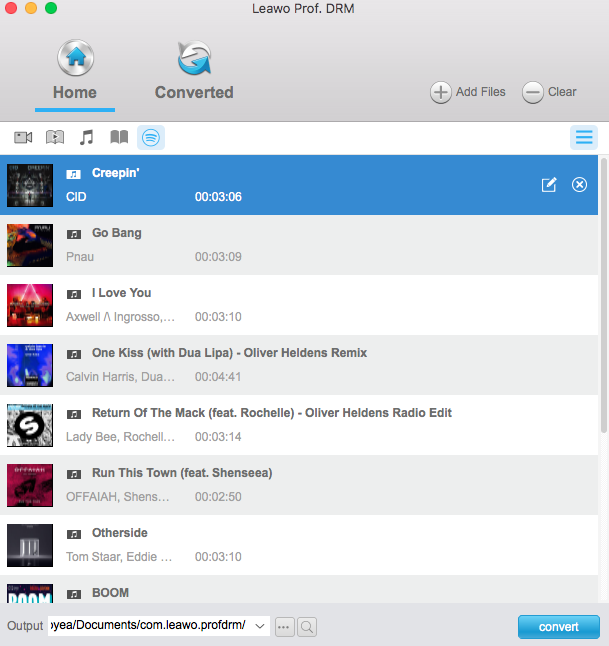 That’s Leawo Music Recorder for Mac, a professional Mac audio recording software tool that could help you record any sound your Mac could capture. It could record Internet radio, music from YouTube and other music streaming services, record local music and built-in audio from microphone, etc. 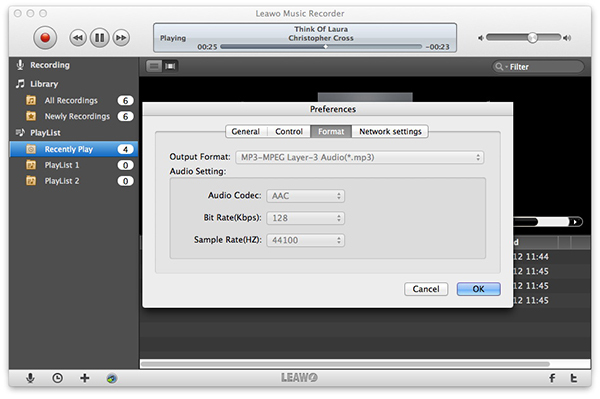 Download and install Leawo Music Recorder for Mac via the below links. 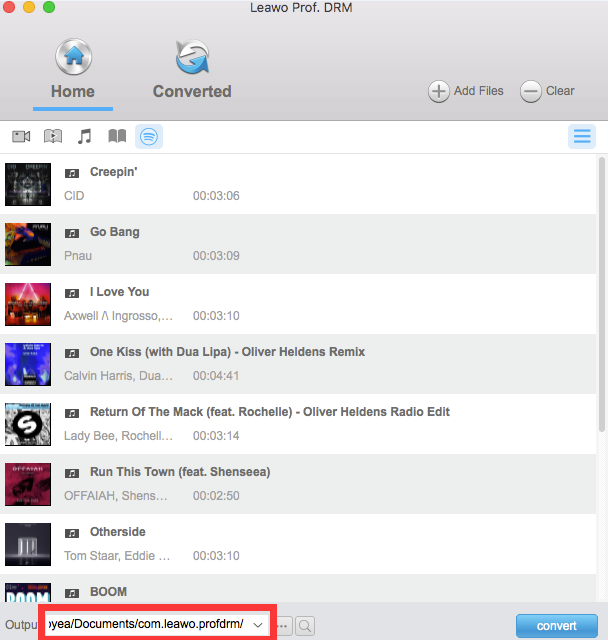 Then, learn how to record and download Spotify songs on Mac with it in detail. 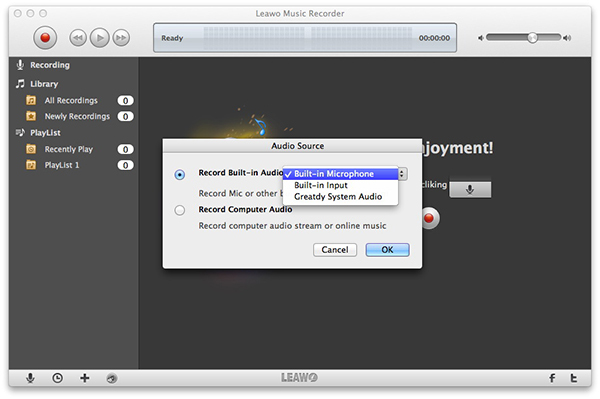 After launching Leawo Music Recorder on Mac, click the microphone icon on the main interface to choose "Record Computer Audio" as audio source for recording. You can find format panel by going to “Leawo Music Recorder > Preferences > Format” tab. Three output formats are available: MP3, WAV and M4A. You can also adjust sample rate and bit rate on the same panel. Do all these audio settings according to Apple TV requirements upon audio as mentioned above. 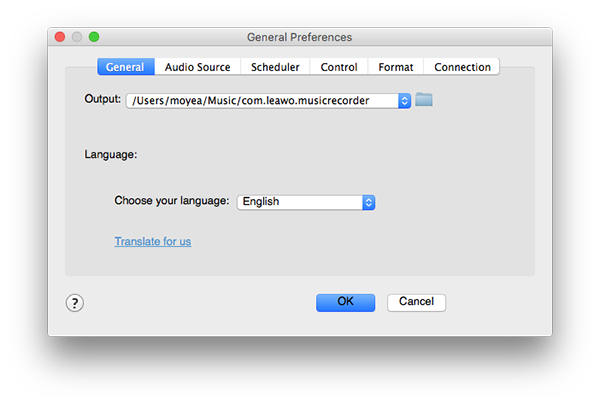 Go to “Leawo Music Recorder > Preferences > General” tab to select the output directory by clicking the blue folder icon to browse. You could also adjust the program interface language here from preset ones. Activate the recording button to start recording in the main interface and then play songs on Spotify on your Mac. When you finish it, you can click the recording button again to stop recording. 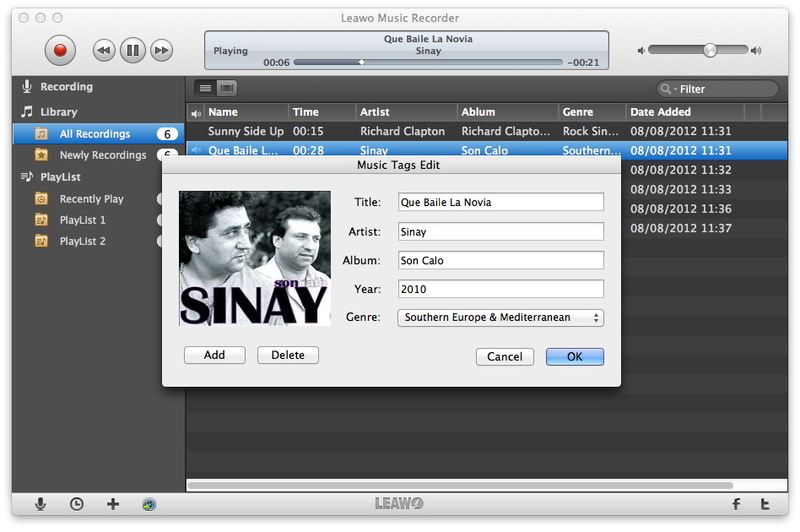 Leawo Music Recorder would automatically download and add music tags like artist, album, cover, etc. to downloaded Spotify songs. However, you can also manually these edit music tags by going to Library and right clicking the recording to choose “Edit Music Tags”. 1. Make sure that your Mac and speaker are on the same Wi-Fi or ethernet network. 2. Go to “Apple menu > System Preferences > Sound” tab consecutively. 3. Under “Output” tab, select the speaker that you want to stream audio to. To access audio output options by clicking the audio ring icon in the menu bar, select Show volume in menu bar. Now, you have successfully played Spotify songs through Apple TV on your TV. Leawo Prof. DRM could help you solve the problem in a much easier and shorter way since it could help you download Spotify songs, albums, and playlists in batch, without being disturbed by whether you’re a free or Premium user of Spotify, while Leawo Music Recorder costs you longer time through recording every second of Spotify songs. However, Leawo Music Recorder helps you complete the music tags. Just choose the way you like.